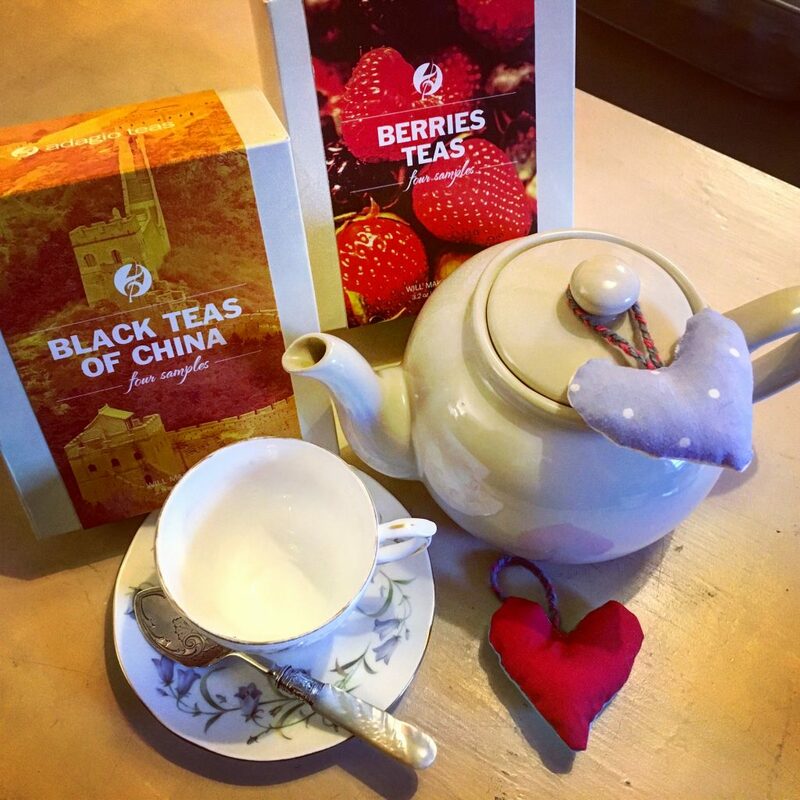 A strange and marvellous thing happened earlier this year when Adagio Tea got in touch to say that they had seen my blog and wanted to send me some of their loose leaf tea to sample. I was just coming to the end of my stay in The Dominican Republic and had plans to visit my parents for Mother’s Day, in the UK before heading home to Italy. What a perfect plan; I pictured myself sitting outside in the garden, enjoying the spring daffodils and possibly even an early spring lamb, tea tasting with Mum and Dad. Two things that were a little unexpected happened. Firstly I arrived back to the UK at the same time as the Beast From The East and Storm Emma joined forces in bringing the country (and all the trains I intended to get) to a stand still. No dafs or lambikins in sight! The next unexpected thing happened when the snow had been cleared enough to let the postman through, and with him he brought a HUGE box full of tea – enough to keep anyone going for years. I’d been helping Mum to clear out the barn and we had found a three tiered, old fashioned tea table. On Mothering Sunday I snuck this rather quaint object into the kitchen and piled it high with a mix of cucumber and cheese savoury sandwiches, salmon slices and chocolate cake. I found some traditional tea cups, the pearl handled teaspoon Dad had recently given mum in celebration of their 30th wedding anniversary and added homemade lavender hearts as decoration – so twee and delightfully teatime-esque! Every sachet of tea comes with specific instructions for how long and at what temperature the tea must be steeped, and a list of all the natural ingredients. If like me you don’t like your tea too strong I’d suggest halving the recommendations as the flavours are quite strong. Mum, Dad, Manny and I spent the afternoon by the fire (because it was still miserable outside) enjoying a pot of Blueberry tea (Mum’s choice), commenting on it’s delicate fruity tones and coming up with ever more ridiculous ideas of how to use up so much tea! One of the more sensible suggestions was to serve Earl Grey Moonlight rather than coffee after dinner the following night when we were having some friends over. 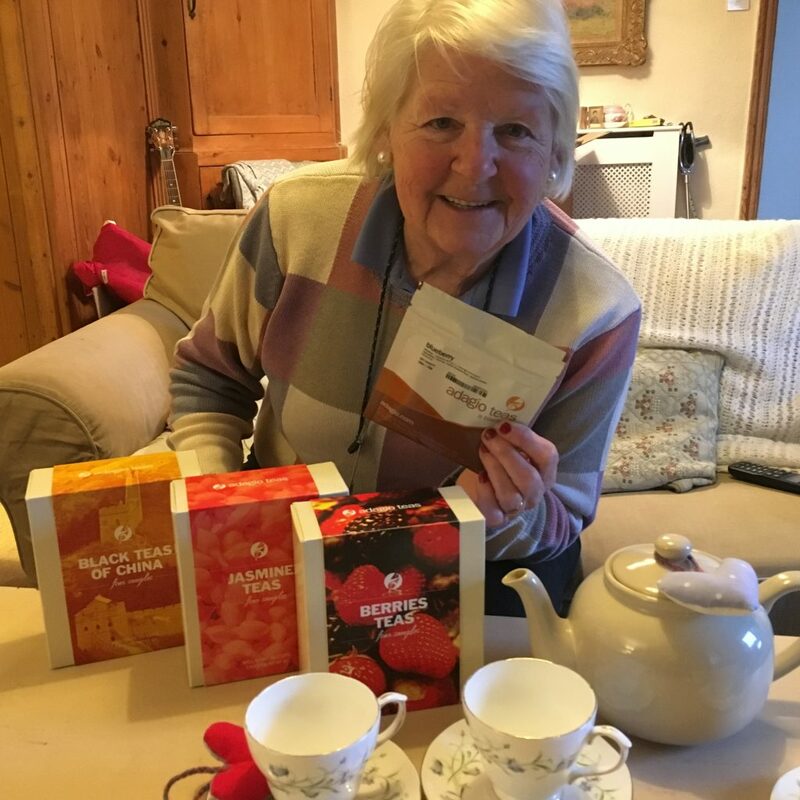 I also took a variety of the samples to Tuscany so that every MiPodere guest found a sachet of formosa oolong, raspberry or even pina colada tea, along with some other goodies, on their arrival. Finally home in northern Italy I unboxed the ingenuiTEA, a plastic “teapot” that you put on top of your tea cup and it filters the tea out the bottom. I’ve seen these before in trendy London cafes like Dose and am geekily excited to now have one in my personal possession. Mint teas are my absolute favourite so I enjoyed a very good pot of Adagio’s Spearmint whilst playing (losing horribly) at a long afternoon’s game of canasta. I drink tea every day, usually peppermint after lunch or dinner as it’s so good for digestion, but even now I have enough Adagio tea to keep me going well into my thirties. As such I’m running a giveaway and all you have to do is send me a Tweet describing your perfect tea moment without mentioning the word tea, and including the hashtag #teahehe. An example might be “I like it by the fire, wrapped in blankets #teahehe”. The best entries win!